КТ-130, КТ-140, КТ-150, КТ-384, BALTECH TR, Fluke мод. 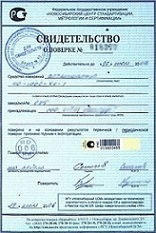 Ti100, Ti105, Ti110, Ti125, TiR105, TiR110, TiR125, Fluke мод. TiS, Testo 875-1i, Testo 875-2i, Testo 885, Testo 890, KT-160, KT-160A, DL700E+, DL707, DM60-160, DM60-384, TE, TE-P, TEi, TEi-P, T2-S, T6-P, F2-T, Fluke мод. Ti27, TiR27, Ti29, TiR29, PCE TC 2, PCE TC 3, PCE TC 4, G30, G100, G120, H2630, R300, Testo-876, Testo-882, Testo 875-1, 875-2, 881-1, 881-2, 881-3, АСКУЭР-Тепловизор, Flir Т200, Т250, Т360, Т400, В200, В250, В360, В400, Р660, Р640, Р620, SC660, SC620, В660, В620, i5, i50, b60, b40, b50, i60, Flir A 320, A 325, Optris, мод. PI, Thermo Tracer TH9260, H2640, TH7716, TS9100, TS9230, TS9260, TVS8500, TVS50SC, TVS200, TVS500, F30, TH9100, TH 7800, TH7700, BALTECH TR, Fluke, Testo 880, ThermaCAMTM P640, B640, SC640, P620, P50F, P25F, SAT мод. HotFind, S-120, S-160, S-280, HY-6800, G-90, S-180, S-380, SAT мод. HotFind, S-120, S-160, S-280, HY-6800, G-90, S-180, S-380, Land FTI 6, FTI 39, FTI 49, FTI 80, ThermaCAMTM E 300, E 320, Land Guide M3, Land Guide M4, Land Guide TP8, Land Cyclops Ti814, T2-E, T2-P, T2-S, DL700C, DL700E, Fluke Ti20, Fluke IR FlexCam, Infra CAMTM, Thermo VisionTM A 20, A 40, IRISYS серий IRI 1000, IRI 4000, Fluke Ti30, Electrophysics мод. HotShotXL, HotShotLT, ThermaCAM мод. 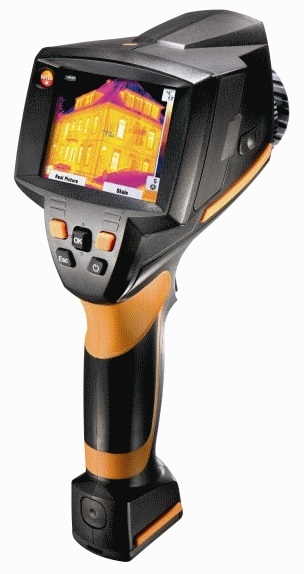 P25, P45, P65, B20, S65, E25, E45, E65, B2, Thermo View Ti30, ThermaCAM P60, P40, S40, S60, E2, E1, EM, TVS-100, Thermacam PM 575, PM 595, SC 2000,AGEMA 570, ThermaCAM, Prism DS, Prism SP, Agema 550, Thermovision 1000, Thermovision 450, 450Pro, 470, 470Pro, 487, 489, 550, 900, 1000, ИФ-50ТВ, ИФ-30ТВ, Thermacam PM675, PM695, SC300, SC500, SC3000, IR SnapShot мод. 525.